Washing machines are an essential part of the modern laundry. Whether it's a top loader, front loader or washer dryer combo, our guide explains different features so you can buy a washing machine to suit your needs, budget and lifestyle. Agitator: The most common type, where clothes are moved around by the agitator (a pole in the middle of the drum). Impeller: Looks like a propeller at the bottom of the washing machine and whips up the water to move clothes. Front Loaders As the name suggest, clothes are loaded into the front of the machine. In a front loader, clothes are moved around by a spinning drum. Compact design suits small spaces. The most important consideration of a washing machine is its capacity; it's measured in kilograms. A medium-sized washing machine is 6kg to 7kg, enough for a family of four. As a rough guide, an 8kg washing machine will take a load of approximately 40 shirts. Your washing machine will last for years, so plan for the future and consider possible changes to the size of your family. 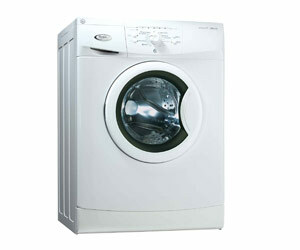 Washing machines have adjustable wash and temperature settings, which let you safely wash more types of clothing. Buy a washer with a setting to suit your clothes. Selectable spin speed means you can choose higher spin for shorter drying times or slower speed for delicates. An anti-crease function either uses a special cycle for easily creased fabrics, or doesn't spin after the final rinse. Load sensing detects what type of clothing, how much of it and even how dirty it is, before creating a wash cycle to suit. How Fast Can It Wash? If you're often rushing for time, research wash lengths before you buy. As a rule, a top-loader is quicker than a front-loader, which can take anywhere up to two hours, although many of the front-loaders offer a 'fast wash' setting. Make sure the controls on your washer are accessible and easy to understand. Budget-priced machines will most likely have mechanical knobs. Pricier models will have one-touch digital buttons and display screens, which can be programmed to suit. A washing machine's motor is connected to the drum via a gearbox and, commonly, a belt. 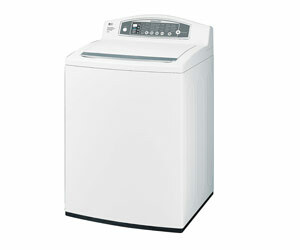 Make sure you're buying a washing machine with a drive system that's been designed to handle heavy loads. Some washing machines now have direct drive systems, which connect the motor directly to the drum. This removes the belt transmission and any risk of it breaking. Washing machines get louder as they spin faster. Think about how close the washer will be to living areas and how quiet it needs to be. Look for a machine that has a dampener system to cushion the drum from the outer casing. Some newer models offer extra insulation and reinforced frames to reduce operating noise. Washing machines are very heavy and can vibrate, so their legs must be strong and wide enough to distribute the weight evenly. The machine must be level at all times for it to work properly. As most laundry floors slope towards a drain, you should look for a washer that has adjustable legs. Some washing machines have an out-of-balance correction feature that automatically detects and redistributes the load. 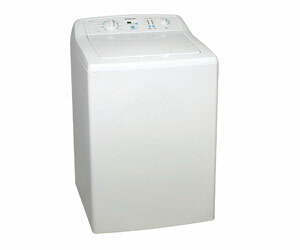 On cheaper washing machines, the tub is made of porcelain-coated steel, which can deteriorate if the porcelain chips. In higher-end models, look for a plastic tub that will last the life of the machine. The best models have stainless steel tubs.